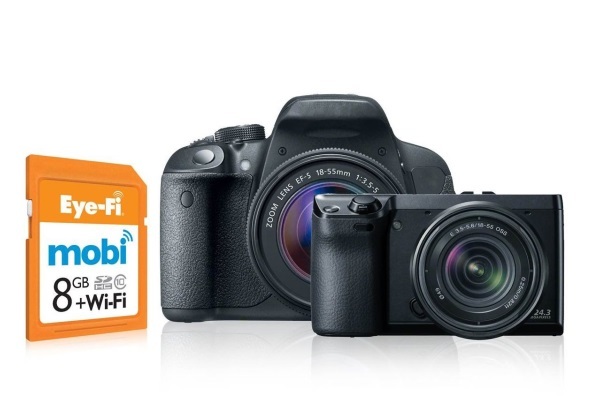 Eye-Fi, a manufacturer of compatible Wi-Fi SD cards for some years now, recently launched its new Eye-Fi MOBI, a Wi-Fi SD card specifically designed for use with a smartphone or an electronic tablet. The Eye-Fi MOBI creates a wireless network for easy connectivity to your iOS or Android device and automatic download of your photos taken with your traditional camera, even if you aren’t close to a router. The class 10 Eye-Fi card works with cameras with an SDHC slot, i.e. most cameras sold on the market in recent years. Here’s something practical for sharing your photos almost instantaneously after an event or even while on vacation. The new 8 Go Eye-Fi MOBI retails for $49.99. Leica X2 Paper Skin Fedrigoni Limited Edition... Who Needs Leather?